I read this article and found it very interesting, thought it might be something for you. 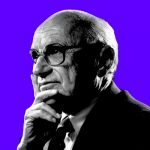 The article is called Economists Should Stop Defending Milton Friedman’s Pseudo-science and is located at http://evonomics.com/economists-stop-defending-milton-friedmans-pseudo-science/. It was 1967 when I first read Friedman’s essay on “The Methodology of Positive Economics” in which the above billiard-player analogy can be found. I was dumbfounded. To say an expert billiard player plays “as if he knew . . . complicated mathematical formulas” may be an interesting analogy, but it tells us nothing about billiard players. It was obvious to me at the time that Friedman’s argument to the contrary is circular: How do we know expert players play this way? If they didn’t play this way they would not be expert players. And I was not at all impressed by the fact that Friedman’s logic is firmly rooted in his “belief” that this makes sense. There are, of course, a number of economists who openly reject the descriptive static equilibrium methodology of mainstream economists embodied in Friedman’s as if methodology, but they appear to be relatively few and to have relatively little influence within the discipline. At the same time there are many mainstream economists who reject Friedman’s methodology on its face when confronted with it directly but are compelled, as a result of their training and the need to accumulate publications in mainstream economic journals, to abide by its rules which are imbedded in the culture of the discipline. The result has proved to be disastrous. 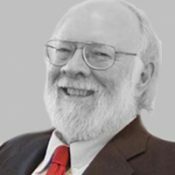 The fundamental paradigm of economics that emerged from this methodology not only failed to anticipative the Crash of 2008 and its devastating effects, it has proved incapable of producing a consensus within the discipline as to the nature and cause of the economic stagnation we find ourselves in the midst of today. In attempting to understand why this is so it is instructive to examine the nature of Friedman’s arguments within the context in which he formulated them, especially his argument that the truth of a theory’s assumptions is irrelevant so long as the inaccuracy of a theory’s predictions are cataloged and we argue as if those assumptions are true. The place to begin is with the history of the law of falling bodies that Friedman alludes to, and then ignores. Our understanding of this ‘law’ did not just suddenly appear out of nowhere. It grew out of the work of Galileo in attempting to explain the anomalies in Aristotle’s theory of motion. According to Aristotle, a constant force applied to an object will cause it to move at a constant velocity, the greater the force the greater the velocity. He also assumed that heavier bodies fall with a greater velocity than lighter bodies. [ Galileo (p. 61)] This seemed to make perfect sense as an explanation of the way in which a feather falls compared to a stone, but Galileo observed that heavier stones do not fall at greater velocities than lighter stones and that the longer a stone falls the greater its velocity becomes (up to a point) even though the force of gravity acting on it (apparently) does not change. While these assumptions were enough to arrive at Galileo’s understanding of the law of falling bodies it was not until Newton had integrated the observations of Copernicus, Kepler, and Galileo to arrive at Newton’s three laws of motion and theory of universal gravitation that the Newtonian understanding of this law emerged. This understanding differed from Galileo’s in that Galileo had assumed the rate of acceleration of a falling body in a vacuum would be constant throughout its fall. This assumption is logically inconsistent with Newton’s second law of motion and theory of universal gravitation. Newton’s second law assumes that force is equal to mass times acceleration. His theory of gravity assumes that there is an inverse-square relationship between the force of gravity and the distance between the centers of gravity of the earth and a falling body. These two assumptions, taken together, imply that the rate of acceleration must increase as a falling body and earth approach each other. [Newton (p. 398, 83)] Thus to make Galileo’s law of falling bodies logically consistent with Newton’s integration, not only must the validity of this law assume a vacuum, it must also assume that the rate of acceleration increases as the falling body and earth approach each other in accordance with Newton’s theory of gravity and second law of motion. At this point it should at least be apparent that Friedman’s assertion that the law of falling bodies “is accepted because it works” is not nearly as clear cut as Friedman tries to make it seem. Friedman, himself, expounded on but a few of the innumerable situations in which this law, as he states it, does not work, and, in fact, there are relatively few practical applications for Friedman’s statement of this law other than as a basis on which high-school physics students can construct lab experiments. The fact is that Galileo accepted his understanding of this law, not simply because it works, but because his understanding of this law is implied by the assumptions embodied in the cosmology within which Galileo attempted to understand and explain the physical universe. Similarly, Newton accepted his version of Galileo’s law, not simply because it works, but because his understanding of this law is implied by the assumptions embodied in the cosmology within which Newton attempted to understand and explain the physical universe. Newton’s cosmology made it possible to understand and explain astronomical observations with a degree of accuracy that was heretofore impossible. As a result, after Newton, any other interpretation of Galileo’s law would be viewed as pure nonsense by any educated person other than those who wished to cling desperately to the cosmology implicit in the Ptolemaic view of the universe and who were unwilling or unable, for whatever reason, to accept a heliocentric view of reality. It is essential to understand, however, that the Newtonian understanding of this law was not simply accepted because it worked in the way Friedman describes Galileo’s law as working. The Newtonian understanding of this law was accepted because neither the law itself, nor any of the assumptions embodied in Newton’s cosmology that were needed to derive the Newtonian understanding of this law were demonstrably false in the sense of being contradicted by empirical observations. If it could have been shown that any of the assumptions on which the derivation of the Newtonian understanding of this law depend were demonstrably false, the Newtonian understanding of this law would most certainly not have been accepted, at least not by physicists. That this is so is made clear by the rejection of the Newtonian understanding of this law by physicists after it was discovered that Newton’s assumption of the independence of space and time was contradicted by empirical observations and replaced by Einstein’s assumption of a space-time continuum as embodied in Einstein’s theory of relativity. Einstein’s theory of relativity led to an entirely different understanding of Galileo’s law. There is not even a hint of acknowledgement in this passage of the fact that a scientific theory is, in fact, the embodiment of its assumptions. There can be no theory without assumptions since it is the assumptions embodied in a theory that provide, by way of reason and logic, the implications by which the subject matter of a scientific discipline can be understood and explained. These same assumptions provide, again, by way of reason and logic, the predictions that can be compared with empirical evidence to test the validity of a theory. It is a theory’s assumptions that are the premises in the logical arguments that give a theory’s explanations meaning, and to the extent those assumptions are false, the explanations the theory provides are meaningless no matter how logically powerful or mathematically sophisticated those explanations based on false assumptions may seem to be. In spite of the simple fact that scientific understandings and explanations arise through logic and reason from the implications of the assumptions (i.e., premises) on which scientific arguments are based, and that a logical argument only has substantive meaning to the extent the premises on which it is based are true, Friedman argues that the relevance of a theory cannot be judged by the realism of its assumptions so long as it is also argued that it is as if its assumptions were true. Aside from the fact that this argument makes absolutely no sense at all as a foundation for scientific inquiry, it begs the question: Why should mainstream economists be taken seriously if their theories and, hence, their arguments are based on false assumptions? This question is particularly relevant with regard to the policy recommendations of mainstream economist when the realism of the assumptions on which the arguments that justify their recommendations are blithely ignored. Today we find ourselves in the midst of a world-wide economic, political, and social catastrophe that has followed in the wake of the worst financial crisis since the 1930s. This crisis, in turn, was the direct result of the financial deregulation policies implemented over the past forty years at the behest of mainstream economists—policies that mainstream economists justified on the basis of an economic theory that assumes speculative bubbles cannot exist in spite of the innumerable economic, political, and social catastrophes that have followed in the wake of speculative bubbles throughout the course of history. And yet, mainstream economists are at a loss in trying to come to a consensus as to what went wrong. Such is the power of Friedman’s as if methodology within the discipline of economics. This may seem to make sense to an engineer who wishes to learn the current state of the art of bridge building, or to an ideologue who wishes to provide a logical foundation for his or her most cherished delusions irrespective of the circular reasoning and false assumptions upon which that logic is based, but this is not science! If physical scientists had taken this approach to science throughout the course of history—relying on “folklore” and “the tenacity with which hypotheses are held” and on those who have been exposed to “the ‘right’ scientific atmosphere” as they ignored the realism of assumptions—we would still be living in a Ptolemaic universe cataloging the situations in which Aristotle’s assumptions do and do not work. Is it any wonder that this paradigm ignores the relevance of the essential role of cooperative action through democratic government to “establish Justice, insure domestic Tranquility, provide for the common defence, promote the general Welfare, and secure the Blessings of Liberty to ourselves and our Posterity” in spite of the fact that the nature of economic behavior is critically dependent on the extent to which government is able to perform these vital functions, and to the extent the government fails to perform these functions an efficiently functioning economic system is not only impossible, but the entire concept of economic efficiency [Heyne] that economist hold dear is meaningless? It’s as if mainstream economists are so enthralled with Friedman’s billiard-player analogy that it is virtually impossible for them to even imagine the possibility that the acceptance of a lack of realism in their assumptions, fostered by a free-market, ideological bias, is the reason for their inability to come to a consensus with regard to the nature and cause of the economic catastrophe we are in the midst of today. This is the legacy of Friedman’s pseudo-scientific as if methodology. The processes by which the paradigmatic revolutions took place in the physical sciences are examined in detail by Kuhn in terms of the empirical evidence against the assumptions embodied in an accepted paradigm growing until the paradigm collapses and is replaced by a new paradigm. A similar revolution took place in economics following the 1930s collapse of the nineteenth century classical/neoclassical economic paradigm embedded in a free-market ideological view of reality. That paradigm was replaced following World War II by what became known as the neoclassical-synthesis embedded in a Walrasian mixed-economy ideological view of reality. The collapse of the neoclassical-synthesis in the 1970s led to its integration with the old nineteenth century free-market paradigm into what is referred to by Goodfriend and King as the new-neoclassical synthesis. That synthesis, as with those that came before, proved to be little more than a house of cards resting on a foundation of sand. Originally published at Real-World Economics. An excellent example of the kind of fallacy involved in Friedman’s argument to the effect that an expert billiard player plays “as if he knew . . . complicated mathematical formulas” because if he didn’t play that way he wouldn’t be an expert billiard player is to be found in Collin’s discussion of the gaze heuristic. While Friedman published his essay on methodology in 1953 it was circulated in the 1940s, and the acceptance of his engineering view of science by economists is implicit in the Keynesians’ rejection of Keynes’ Marshallian dynamic cause and effect methodology following World War II in favor of the Walrasian descriptive static equilibrium methodology. See Blackford (2016). See Einstein’s “§21. Newton’s theory as a first approximation” (Einstein and Minkowski, pp. 229-32) and also P. C. Mahalanobis in (Einstein and Minkowski, pp. 30-1). See Suppes and cf. Galileo, Newton, Einstein, Keynes, and Blackford (2016a; 2016b). See Fox, Minsky, Polanyi, MacKay, Kindleberger, and Blackford (2014). See Amy, especially his website at www.GovernmentIsGood.com, Acemoglu and Robinson, and Blackford (2013).